The Rixwell Old Town Hotel in Tallinn is the only hotel in town, which is built into the original medieval city wall. The hotel’s 41 comfy rooms offer an authentic taste of the Old Town at a reasonable price. 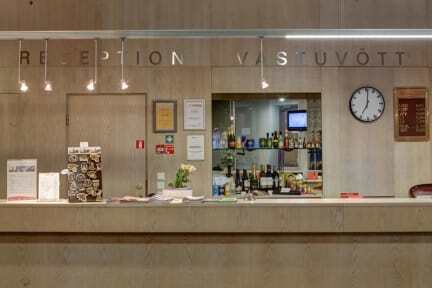 This hotel is located in the heart of Tallinn Old Town’s restaurant, museum and shopping district. Tallinn’s famous Oleviste Church is located on the doorsteps of the hotel and the Town Hall Square is just a short walk away. 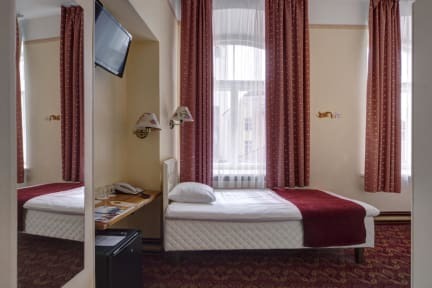 All rooms at the Rixwell Old Town Hotel are decorated with warm colors and classical furniture. Each comes with a private bathroom with either bath or shower. The floors in the bathroom are heated. Some rooms have tea/coffee making facilities and a hairdryer. Guests relax on the terrace in the summer season. Check in from 18 years of age.